3"Dia. x 5.25"T; holds 14 oz. Handcrafted Ch? ?teau D? ?gustation four-piece set. 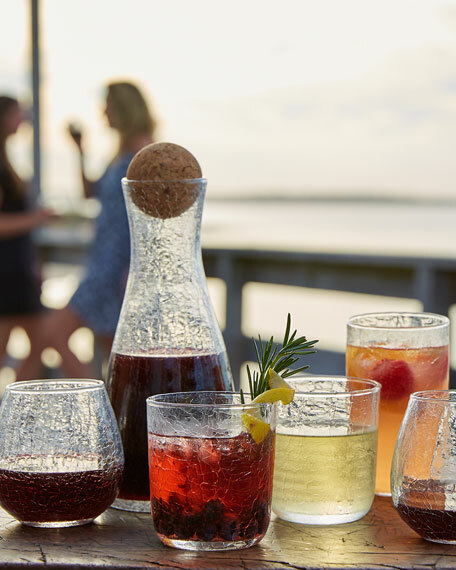 Set includes one each of: Tumbler #2 (3.8"T, holds 12.85 ounces), red wine glass (8.5"T, 12.85 ounces), white wine glass (8.1"T , holds 12.85 ounces), and champagne flute (9.5"T, 7 ounces). Lead crystal. Hand wash. Made in France. EXCLUSIVELY AT NEIMAN MARCUS Stemless white wine glass with ribbed details. Crafted of glass. Holds 12 ounces. 3.25"Dia. 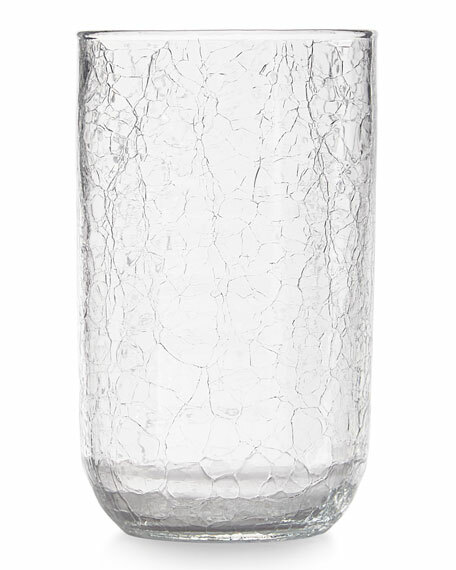 x 4.5"T.
EXCLUSIVELY AT NEIMAN MARCUS Stemless white wine glass with ribbed details. Crafted of glass. Holds 12 ounces. 3.25"Dia. x 4.5"T. Dishwasher safe. Imported. Balloon goblet sold in sets of four. Made of lead-free crystal. Dishwasher safe; top rack recommended. Holds 19.25 ounces; approximately 4"Dia. x 8.5"T. Imported. Double old-fashioned sold in sets of four. Made of lead-free crystal. Dishwasher safe; top rack recommended. Holds 13.5 ounces; approximately 3.5"Dia. x 3.75"T. Imported.